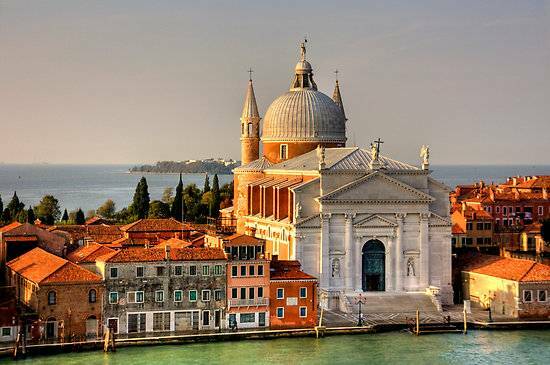 Panoramic aperitif on St. Mark’s Basin! 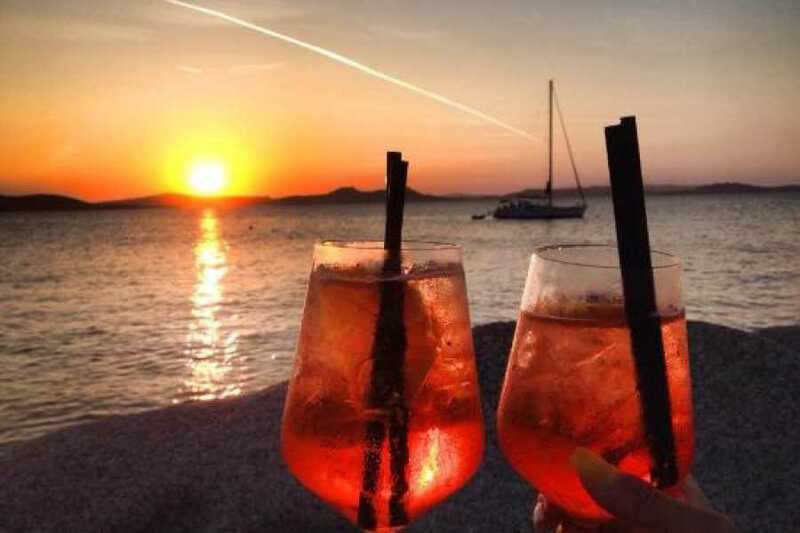 Enjoy a unique aperitif on boat along the Saint Mark’s Basin! 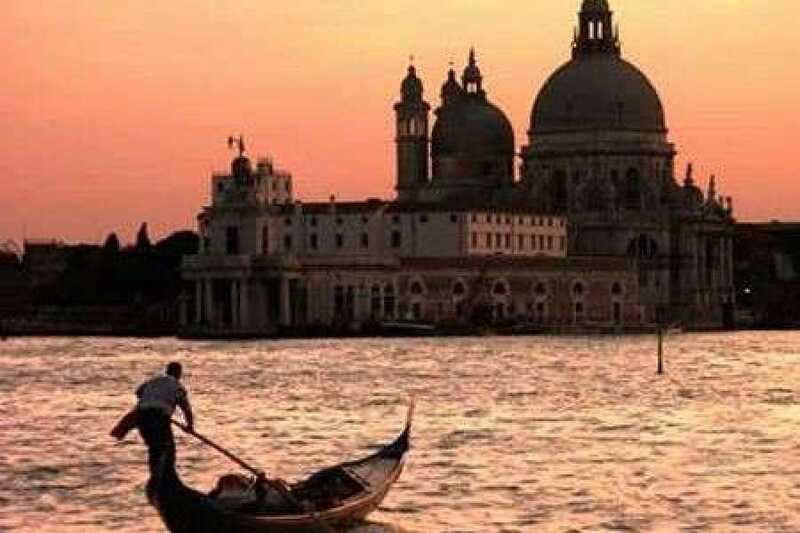 You will admire the most beautiful square from a boat with a guide and a spritz (typical Venetian aperitif). Comfortably seated with a drink, the panoramic cruise will pass in front of the Giudecca island, San Giorgio (the islands with the famous monastery) the roses islands and many other wonderful places. 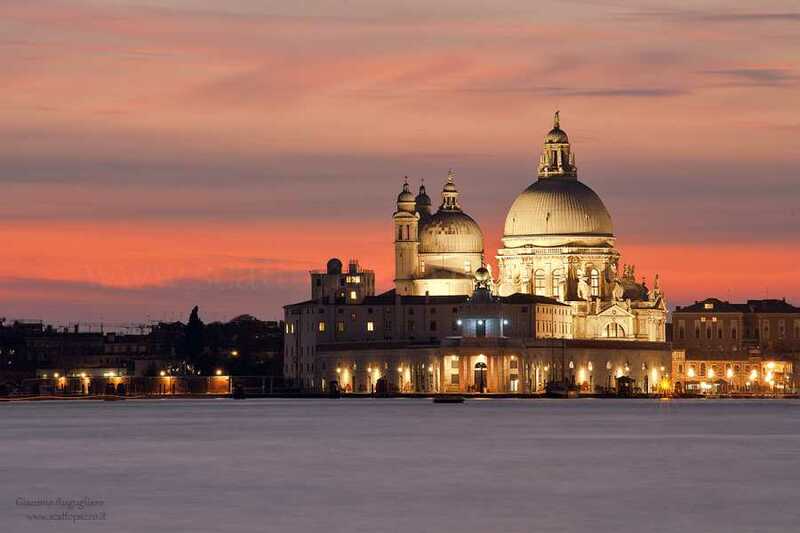 You will appreciate the Doge’s Palace and the Basilica from a unique view from the boat! 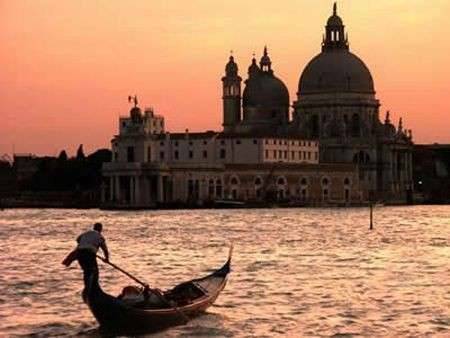 Aboard there will be a guide to explain history and curiosities about the Venice and its highlights. 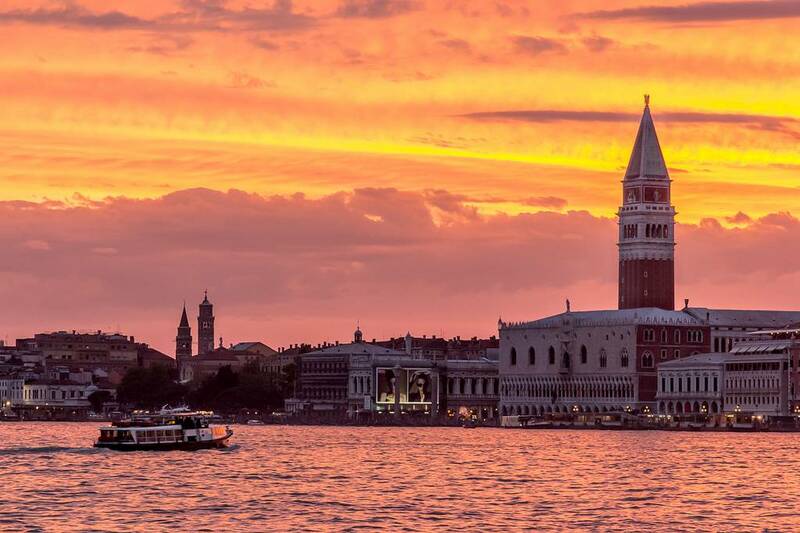 An unforgettable experience to enjoy the summer sunset on the marvelous Saint Mark’s Basin! Meeting point: Monumento Vittorio Emanuele on Riva degli Schiavoni (few steps from Saint Mark's Square). Please be at the meeting point 15 minutes before the departure time. Availability & operation: From 20 April 2019 until 29 September 2019. The tour does not operate in case of exceptional high tide. Departure and meeting: Thursday - Friday and Saturday at the 6:45PM. Please, be at the meeting point 15 minutes before the departure time. 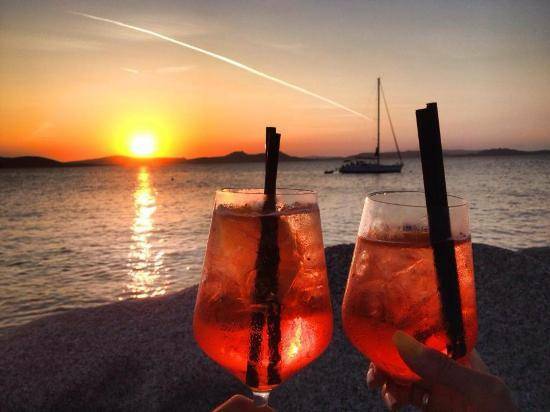 Inclusion: Panoramic tour of Saint Mark's Basin by boat - Multilingual guide aboard - 1 Spritz or Non-alcoholic drinks per person - Barman service. Gross price public rate: From 18 years old: € 18 - From 10 to 17 years old: € 16 and children from 0 to 9 years old: FREE. Cancellation: bookings can be cancelled with no charge up to 24 hours before the service. The Tour does not operate in case of exceptional high tide (it can be postponed later or to the day after otherwise it will be refunded). This tour is not fully accessible for wheelchair users or people with walking disabilities. Tour does not operate in case of exceptional high tide or bad weather (in these cases it can be postponed the day after otherwise it will be refunded).